As of the 12th of October 2018, European Union fuel stations must place fuel stickers on their pumps. New vehicles are also given such a sticker (in the service manual and in the fuel filler flap) to indicate which fuel is suitable. Convenient because the driver sees which fuel is suitable for his or her vehicle. This is especially useful when refueling in other EU countries, as other languages and brand names often appear on the pump. 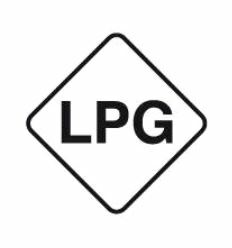 Most fuels are given a new designation, however LPG also called autogas is still referred to as LPG. Above you see the official image that will be used throughout Europe.